I’m not even leading this team, but I’m sleeping at this guest house. Eric is leading the team that is lodging at this facility, I’m merely just stealing a bed for the night. I haven’t been here in a month or so, so I’m emotional as I drive into the lot. To my delight, the children recognize me in the car. As they run to me, my heart flutters with excitement. They are full of such joy. I see Pastor, walking up from his home, waving to me. He looks like he’s doing jumping jacks in slow motion, I think and laugh. I struggle to open the door the kids are standing so close. I think looking on as an outsider, we probably look a little crazy. The children scream and I love to make them laugh by screaming back. The team doesn’t even know me, they’re looking at me with wide eyes. I smell like peroxide from bandaging a team member up earlier, but the kids don’t care. We’re just a moving blob of laughing and questions and sweat and kisses and talk about Eric’s beard. 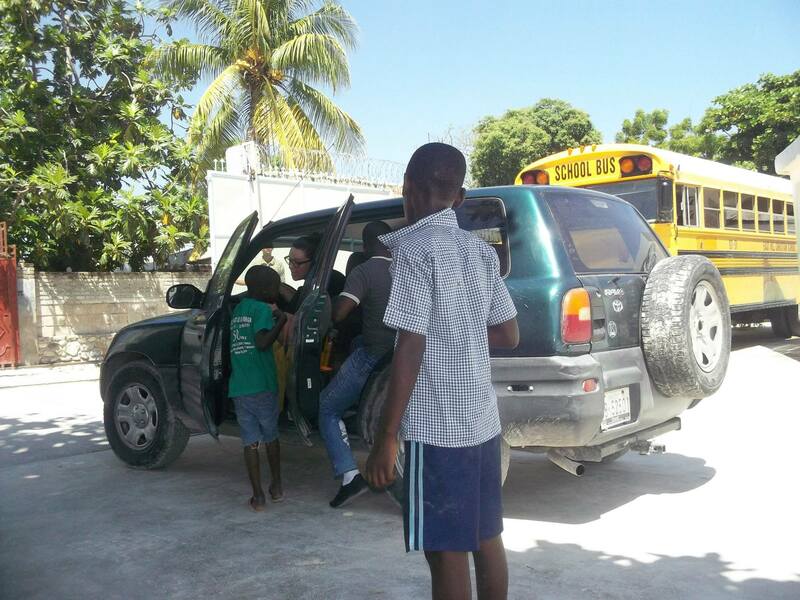 The pack of little boys beg me to let them wash the car, spurred on by their leader of sorts. Ask your Papa, I tell them, speaking of Pastor. They run off in a hurry, the dogs chasing at their heels and the little leader in front. The girls are clinging to me and trying to climb me like an apple tree. They fire questions left and right and ask me for candy. I appease them by convincing them they can braid my hair later. I begin walking to the kitchen, my typical first stop when I arrive. I find the kitchen staff and delight in their squeals as the make a fuss over seeing me. I am so happy to see them. Pastor’s wife is cutting onion slices so thin they look like paper. She is the boss and she is good at what she does, I have so much respect for her. Everyone respects her, she’s a good woman. They laugh and speak of how much they love Eric, he’s the sweetest man, they say. I help with sitting out dinner and chat with the younger girls who are helping. They tell me of school and their grades. Pastor drops in and we talk for a while. He always tells me of his children, all 43 of them he says. He includes the children from the orphanage as his own. He’s such a good man. It’s now after dinner and I’ve got work to catch up on before heading to bed. I go to fill my water bottle when I am being jerked away by our little boy-leader. Come look what I’ve done Betanee! Hurry, come look! he pleads with me to move faster as we snake our way outside. As soon I step foot outside an onslaught of squeals and accusations begins. Only one little girl can make squeals that pitch, I think to myself. These two are like oil and water, always bickering. I joke with them that someday I’ll attend their wedding. Look, he ruined the car! she yells. I did not, look Betanee, I washed it just for you! It took me an hour! They continue their banter. What I see before me is a tiny Rav4 no taller than the average man, but evidently a full arms length taller than our little car washer. I cannot stifle my laughter. The car is spick and span until mid-way up the car. He was too short to finish the job. He’s looking at me with the most expectant eyes. I feel like they plead with me to be proud. I take his face in my palm and plant a kiss on his forehead. It’s beautiful! I tell him. He beams and turns about face to begin bantering with his oil-friend. She kicks him in the shin and they take off in an epic battle of tag. As I go to bed later, I think about the full summer I have ahead of me. I go to sleep with my heart full. Thank You Lord for Your laughter. It’s the little things that make this life so worth living.